The cost of car insurance is on the rise in most areas. That’s one reason smart consumers should be acutely aware of the best way to approach this necessary budget item. To that end, we like to keep our eyes peeled for tips that can help you be a smart consumer. Here are a few we recently came across. Consumer Reports suggests that you do a checkup on your rates annually. “Consider forming a relationship with an independent agent, who will check rates for you at a range of carriers,” according to Consumer Reports. Even if you don’t find a better deal than the one you already have, you’ll at least know the market well enough to know that you have the best car insurance you can get. At Seeman Holtz, we work with the best insurers to make sure you get the both the best rate and best coverage possible. We offer independent, objective advice to our car insurance customers. Consumer Reports also suggests that if you’re a good driver, you may want to roll the dice on a policy with a higher deductible, something that could lower your regular premium payments. Depending on the deductible you choose, you could cut your premium by as much as 40 percent. 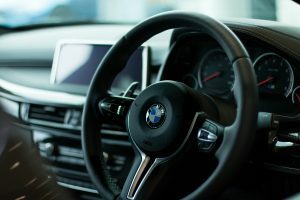 “If you have a good driving record and haven’t had an at-fault accident in years, if ever, opting for a higher deductible on collision might be a good bet. Just make sure you can afford to pay that cost if your luck runs out,” the site writes. One easy way to keep your premiums down is to choose the right car. “Vehicle damage is the biggest cost component for auto insurers, so premiums will vary by auto model. When comparing models, ask your insurer for premium quotes on the different models under consideration,” according to Consumer reports.